Chile is an enchanting destination for wine lovers, with an astounding range of micro-climates, landscapes and grape varietals. The geography is unique in the world, with a coastline more than three times the length of California (needless to say, Chile’s cuisine features a superb seafood offering), moon-like deserts in the north and ice tundra in the south. There is a majestic lake district and the lush wine country in the center of the country (the Central Valley which is set between the Andean Cordillera and the Coastal Cordillera) is a pleasure trove of rolling vineyards, beautiful wineries (from graceful colonial style to alluring vanguard and ultra-modern architecture) and picturesque local flora like native cactus, Chilean palm trees and dazzling hot pink bellflowers. 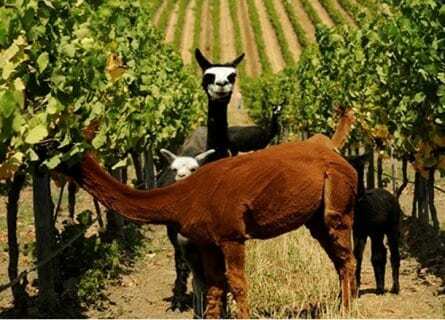 On this outstanding wine tour of Chile, you will visit the renowned wine valleys of Maipo, Cachapoal, Colchagua, San Antonio, Aconcagua, and of course Casablanca. 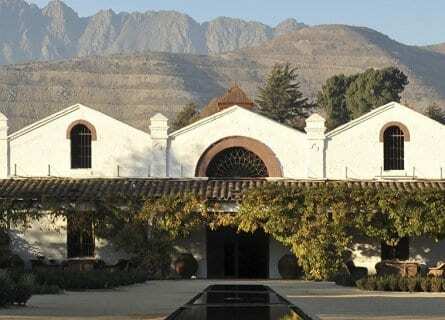 Visit legendary houses like Errazuriz and Viu Manent, such important groundbreakers, and taste their icon wines. You will also discover micro-boutique, lesser-known wine estates like Kingston Family Vineyards and Von Siebenthal, enjoying VIP attention and artisan wines. And of course, a few cult wineries, such as Casa Lapostolle’s Clos Apalta. Learn about Chilean gastronomy with famous local chef Pilar Rodriguez. There is also time for sightseeing and you will explore seaside gems like Valparaiso (mythical for fans of Pablo Neruda) and get in some time for culture and shopping in bustling Santiago. In your free time, we can also organize some fun sporting activities in the wine country, from horseback riding to mountain biking, or just an easy cycle in the vines. 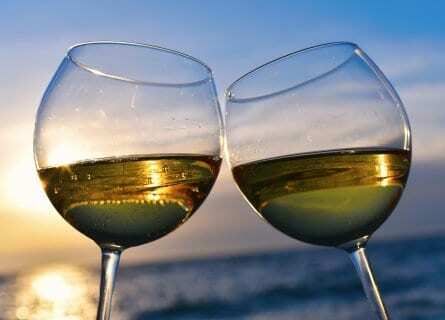 If you are looking for an unforgettable luxury vacation in Chile and like the idea of fine wines, stunning hand selected wine estate accommodation, convivial dining, and genuinely warm hosts, then contact us for more information on customizing this sample Chilean wine tour to your precise travel preferences. Bienvenidos! Let the South American wine adventure begin! 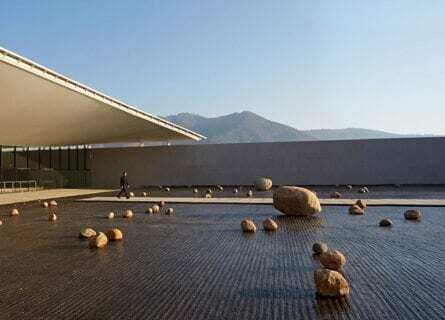 Your private driver guide will meet you at Santiago’s Arturo Merino Benitez airport, named after the creator of the national airline Lan Chile who is also credited with creating the air force in Chile. You will enjoy a pleasant drive with the Andes as the dramatic backdrop, to the upmarket and charming Providencia neighborhood of Santiago. This is an ideal base for exploring the wine country for the next few days, and enjoying great food and wine hotspots nearby, relaxing and going for interesting walks. After settling into your boutique hotel (complete with country French décor and a delightful courtyard), your private guide will lead you on a personalized walking tour of Santiago. See some of the most interesting locations such as the Mercado central and the quaint cobblestoned Lastarria barrio. Learn about some of Chile’s most famous citizens, from the founder of modern Chile Bernardo O´Higgins to modern poet Pablo Neruda and acclaimed author Isabel Allende. Follow with a private, seated exclusive Chilean Wine Tasting at Santiago’s “más chic” new wine bar in the artsy Lastarria quarter. This will be a wine tasting with a knowledgeable sommelier of 8 wines introducing you to Chile’s main wine regions (Maipo, Casablanca, Colchagua and more) and representative grape varietals (such as Carmenere, Sauvignon Blanc). Tonight, your elegant welcome dinner is at the highly acclaimed Astrid & Gaston, refined and inspired Peruvian cuisine and swanky ambiance. Sip Pisco Sours and enjoy the night! This morning you will journey to the Maipo Valley, which extends like a fan from east to west around Santiago. Driving south, you will visit the lauded boutique wine estate of Antiyal where Chile’s most famous winemaker Álvaro Espinoza is at the helm. 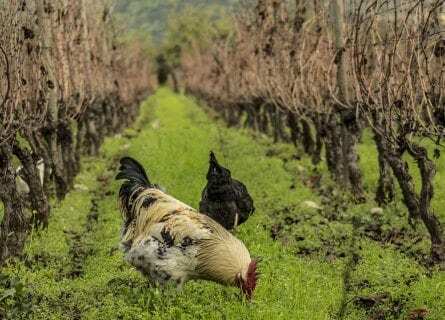 Taste their three estate wines – Antiyal, Kuyen and their Carmenère (the 2008 has 93 Parker points)- all of them certified organic and employing biodynamic viticulture. This is a great introduction to premium Chilean wine. Follow with a visit and charming lunch at one of the tiniest wine estates in Chile, the Corcoran Gallery (the same family as the revered Corcoran Gallery in DC) which is a micro organic vineyard of old vines, framed by beautiful roses. Located in the “Alto Maipo”, where some of the best red wines in the country are made, this is a neat experience. Sit down with your charming hosts to an al fresco lunch and tuck into succulent steak, served with their famed Cabernet Sauvignon. A real treat. In the early evening, return to Santiago and the night is yours at leisure. We suggest the excellent Miguel Torres (The Catalan wine giant also has an estate in Chile) Vino and Tapas bar. Today you will explore the Aconcagua Valley, located northwest of Santiago. You will visit the historic Viña Errazuriz estate, founded in the second half of the 19th century by Don Maximiano Errázuriz (of Spanish Basque descent) about 60 miles north of the capital. The estate is one of the few large Chilean wine estates that is still family run (Eduardo Chadwick is the fifth generation of his family involved in the winery). Eduardo also has a joint partnership with Robert Mondavi for a wine brand made on site here called Seña. Errazuriz offers a professional but warm wine tour experience and on this intimate private visit (including a hillside vineyard walk, and of course the underground cellars) you will enjoy, tasting some of their top of the range icon (and multiple award-winning) wines such as Kai, Cumbre, and Don Maximiano. A four-course lunch at their charming “Casona” will be next. Taste the local Chilean empanaditas and delicious salmon roasted over corn, or be more experimental and go for the fried conger eel with a quinoa pebre (Chilean chili sauce). They make great desserts in-house like traditional flan or you could try the simple and exquisite papayas with cream. Then in the afternoon carry on to your next wine estate of the day, the premium Viña Von Siebenthal. The friendly Swiss owner Mauro was actually a lawyer before getting into the wine business; now his wines are some of the most highly acclaimed in the country. Salud! Return to Santiago in the evening, it’s about a 90-minute drive. Relax and enjoy some free time. You could try the Confiteria Torres for dinner. Visit Chile’s most famous “cool climate” wine region today, the Casablanca Valley region, located west of Santiago towards the Pacific Ocean (indeed the maritime influence and coastal breezes create the cooler climate). Known primarily for its crisp Sauvignon Blancs and excellent Pinot Noirs, the Casablanca Valley is beautiful with lush vineyards and unspoiled scenery. You will visit the American owned Kingston Family Vineyards first, widely considered to be the best in the valley, located only 12 miles from the coast. They make their wines with only 10% of the crème de la crème of their production and sell their other grapes to surrounding wineries. Taste their stunning Pinot Noir, Syrah and Sauvignon Blanc and enjoy the relaxed and warm visit. Next up is the artsy town of Valparaiso. It will be time for lunch first, for example at the Oda Pacifico with to die for seafood and dramatic views out to sea. It calls itself a culinary lookout point, quite right too! After lunch, a private guide will lead you on a two-hour walking tour of the hills including Cerro Alegre and Cerro Concepción. You will see the colorful historic townhouses of Valparaiso, take a ride on a funicular and tour the intriguing private home of its most famous resident, Pablo Neruda. Great to break up the wine tasting with a spot of culture. 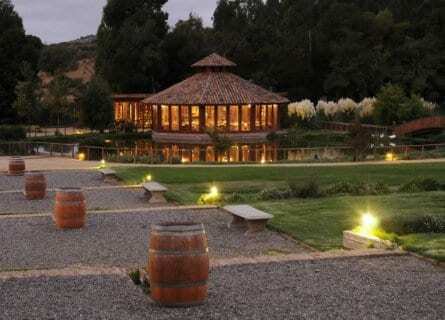 In the evening, continue on to your wine country accommodation tonight at the splendid Casona at Matetic vineyards in the San Antonio Valley about 45km from Valparaiso. The property houses a spectacular winery, luxurious rooms and gourmet restaurant run by Chef Matías Bustos. A gastronomic dinner will be onsite, you will absolutely love this. This morning you will have a chance to visit the winery onsite, Matetic. Admire the organic vineyards from inside the impressive state of the art wine cellar and taste their best wines in the Equilibrio ultra-premium line including their delicious Pinot Noir, Syrah, Chardonnay, and Sauvignon Blanc Coastal. Drive on to quaint Casa Marin then, a gentle twenty-minute spin. You will be hosted today by Osvaldo, founder María Luz Marín’s brother. They will welcome you to have a private lunch with the family, this is what a VIP wine tour is all about, the special attention. After a convivial lunch, head back to your gorgeous wine estate hotel and enjoy the property. We suggest a bike ride amid the vines! Dinner tonight is at your hotel’s fine restaurant, enjoy. Drive south out of the San Antonio valley today and on to Colchagua, one of Chile’s most important wine regions for fine reds. The first private tour today is at the revered Viu Manent. Founded by Catalan immigrants in the 1930’s, they originally were wine bottlers and merchants in Santiago but in the 60’s launched their own winery on a beautiful estate with working winery and manor and they are now one of the leading wine estates in Chile. Before the winery tour, you will spend the morning with one of Chile’s culinary grande dames- Pilar Rodriguez (who has a cooking studio on the wine estate) and enjoy a private cooking demonstration followed by lunch. This includes three courses plus dessert with ingredients sourced from local farmers, all high quality and seasonal foods paired of course with Viu Manent estate wines. After lunch, visit the wine cellars and finish with a tasting. This afternoon then, switchgear and head to the mythical Clos Apalta (Casa Lapostolle) for a tour and tasting. French-owned (by the descendants of the Grand Mariner liqueur, the Marnier family who also incidentally own the Chateau de Sancerre in Loire Valley), this estate features a cult winery, a luxury hotel with 4 suites (one of only a handful of Relais & Chateaux properties in South America) and a stunning pool with dramatic “vistas” of the vineyards below. Their motto is indeed “French in essence, Chilean by birth” and you will enjoy the best of Chilean hospitality and French panache. Nestled in a majestic landscape, amid lush flora, this luxury bolt hole is fabulous. Settle in and enjoy a gourmet dinner at Clos Apalta. Their icon wine is considered by many to be the premier wine of Chile. Take the morning off from wine tasting and immerse yourself in Chilean culture, learning about the country’s remarkable history. You will visit the privately owned and much loved Santa Cruz museum with a mind-boggling collection of Chilean artifacts that cover Pre-Colombian Chile, the colonial period, Chile’s art and cultural traditions, its independence, and even modern inventions and events like the rescue of the miners. 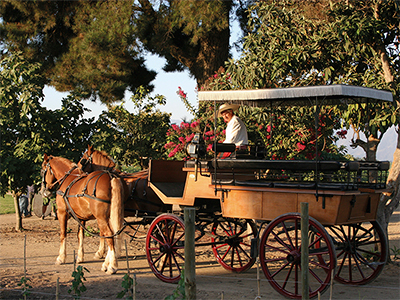 From dinosaur bones to horse-drawn carriages, this little “Museo” (museum) is special and the visit compliments your week in the wine country beautifully giving you a sense of the place behind the wine labels. Follow with a charming lunch at the excellent Casita Barreales, specializing in Peruvian dishes like ceviche and unexpectedly delicious simple preparations of tacu tacu (rice and lentils with chili). This afternoon, you will then privately tour the cult Polkura wine estate. Created by Sven Bruchfeld and Gonzalo Muñoz whose life ambition is to make the best Syrah in the world. Located in the Marchigüe area at the Western end of the Colchagua Valley, this sub-region is quite close to the sea and considered a cooler climate wine within the context of Colchagua. This was the ideal location to make Northern Rhone style Syrah and this newish winery (whose first vintage was only 2004) has gone from success to success. Apart from Syrah, they are also making excellent examples of Malbec and Sauvignon Blanc. The wines here are simply delish, enjoy. In the early evening, relax at the pool or go for a pre-dinner stroll in the vines. Dinner is at your wine hotel. After a relaxing breakfast, get ready for your last day in Chile’s wine country, just on the other side of the hill in the Millahue Valley. We have something very special planned. Considered a best-kept secret amongst Chilean wine conoscenti, the Viña VIK project is nothing short of extraordinary. Founded by Norwegian entrepreneur Alexander VI, no expense has been spared in creating a holistic approach to winemaking considering economic, social and cultural components. Man and nature as one. What does this all mean? Learn all about it on a private tour of this gorgeous estate followed by a tasting of their top class blend. Highlight! 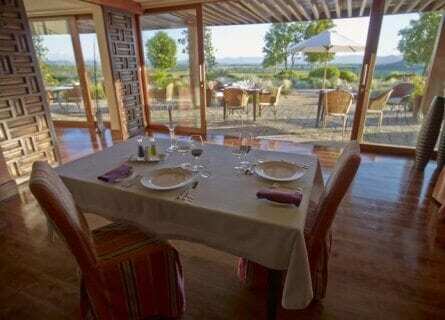 Your farewell lunch today is at the fine Altair wine estate, with jaw-dropping views over the valley. This “Grand Cru winery” was originally a joint partnership between the Bordelais Chateau Dassault and the Viña San Pedro wine estate in Chile, but it is now exclusively Chilean owned. The name refers to a star in the Aquila (eagle) constellation that shines more than ten times brighter than the sun. This winery aspires to make the finest wine in Chile, and you can judge for yourself if they deserve the 94 points earned in Wine Advocate, we think they do! After lunch, enjoy a full tour and tasting of their icon wines. 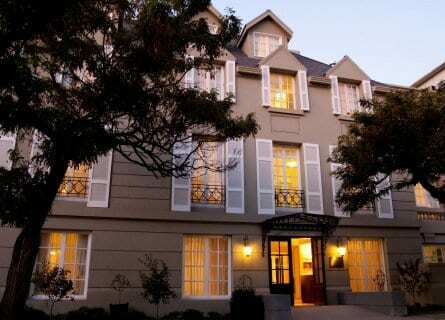 Then return to Santiago in the late afternoon and take advantage of a last free evening to pack and rest. Your private driver will take you to the airport in Santiago today for your outbound journey. Remember we can also organize combo trips should you like to pair the wine tour with adventure sports or skiing in Northern or Southern Chile (including Patagonia), ask us for more information.